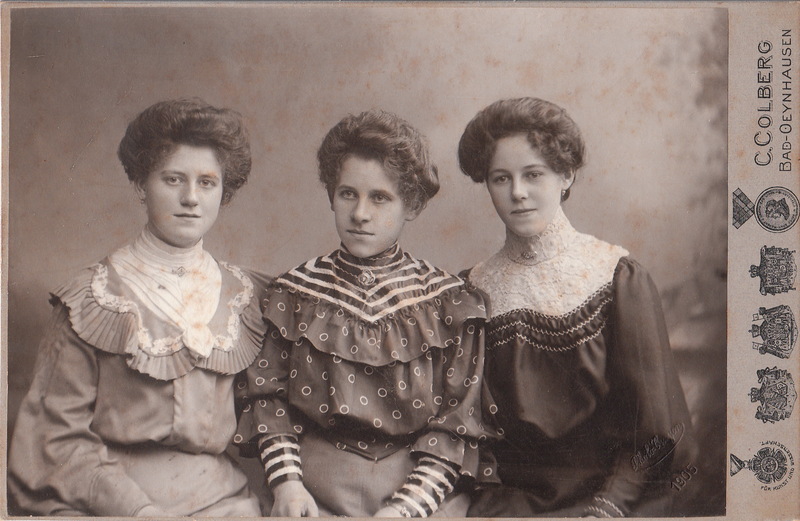 Three pretty young women sit for their photograph at the studio of C. Colberg in Bad Oeynhausen, Germany. This image was produced in 1905. The women may be sisters; there seems to be a shared resemblance. The women are well dressed, and are likely from a family of means. Bad Oeynhausen was a spa town at the time of this photograph. It was thought that the thermal salt spring there had healing powers. Perhaps these three women were photographed while on vacation to the spa community. Research reveals that Colberg was a royal court photographer.